If you are looking to hit the green with a sea breeze at your back, look no further. Since 1969 when the PGA Tour first visited Hilton Head Island, it has been hard to think of Hilton Head Island without thinking also of golf. The RBC Heritage has been a veritable who’s who of golfing immortals. Arnold Palmer, Jack Nicklaus, Johnny Miller, Greg Norman, Davis Love III and many other golf luminaries have had their names etched on the champion’s trophy and received the now famous plaid jacket associated with the victory. 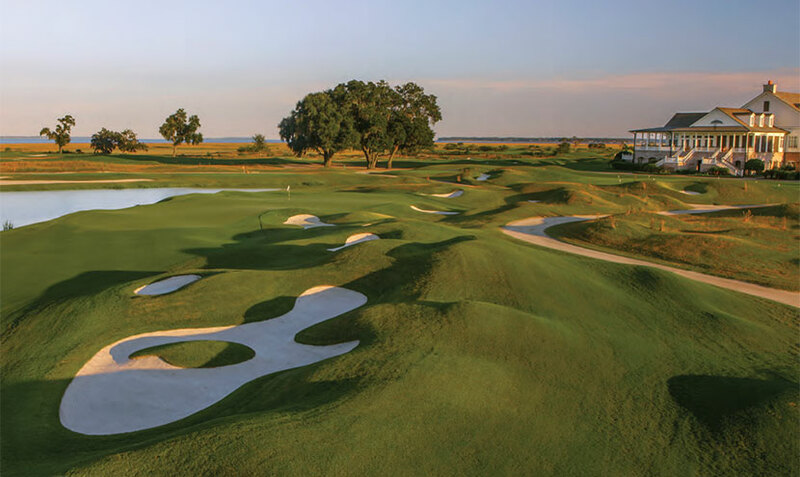 The now world renowned Harbour Town Golf Links is open to the public and with a little advance planning you too can play the course your heroes. It has been that way for nearly 50 years, thanks to a gutsy move from a brilliant developer. From the beginning, Charles Fraser wanted Sea Pines Resort on the southern tip of Hilton Head to be a family destination, not just a rich man’s playground. To become that, the area had to have more than beachfront and restaurants. Fraser drew up Sea Pines to have accessible beaches, meandering walking trails, top-of-the-line tennis facilities and designer golf courses.